Fish Thali in Mumbai – With a choice of either fried prawns or fried fish,coconut curry,rice,papad and salad.We have a variety of thalis to choose from. The standards are the Fish Fry thali with boneless rawas/surmai, Fry prawns thali, Fry mackeral thali and the favorite bombil thali. 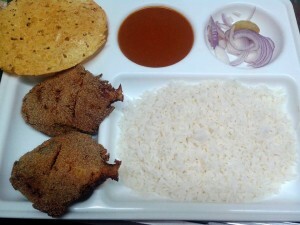 After popular demand we introduced a special thali that comprises of goan prawn curry and fry fish. 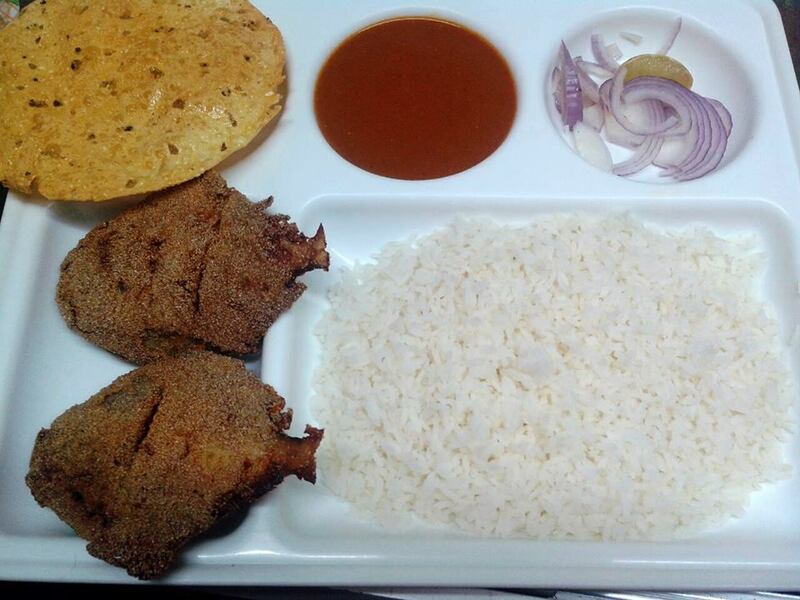 In the picture below is the fish thali with fried pomfret. 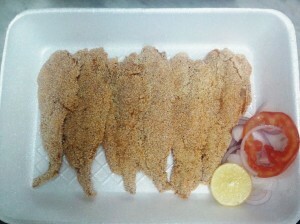 The fish is subject to fresh catch availability of the day. 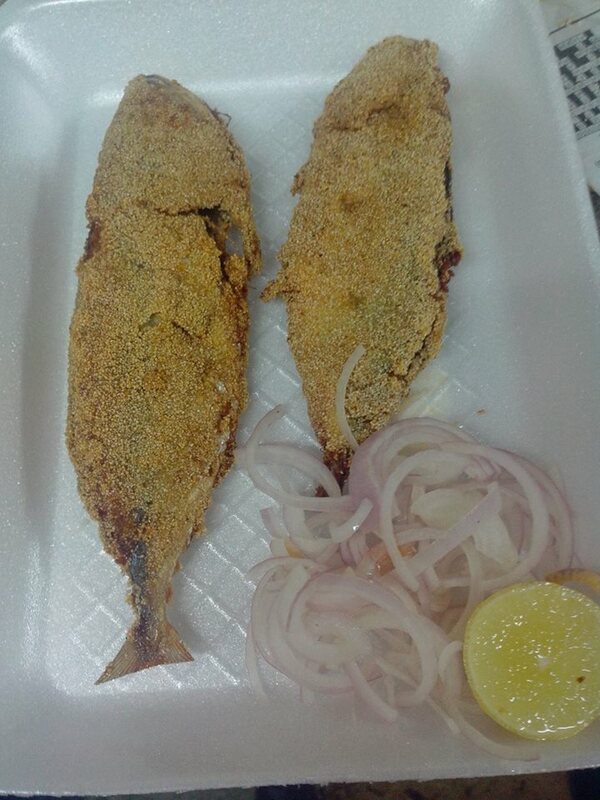 Our new range of seafood thali that are both reasonably priced and you can choose from Mackeral, Rawas, Bombay Duck and Prawns.Below is the rawa fried mackeral bangda stuffed with rechad masala. This can also be availed in the mackeral thali.